This is a wooden tattoo cross with strapping around it. There appears ring on the top end of the tattoo with a bible verse written on it showing a strong believe in Christianity. 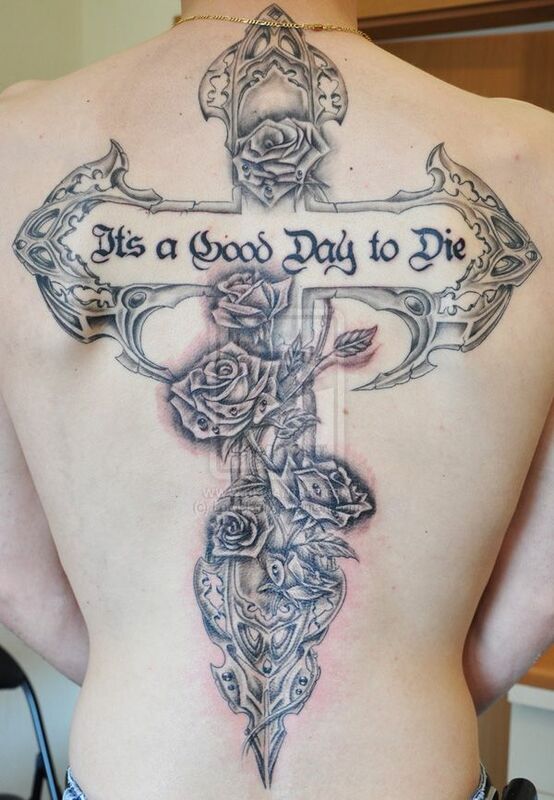 “It is a Good Day to Die,” Well, this tattoo seems controversial in some many ways but it is symbolic in the fact that it represents the fact that Jesus died on the cross. It is then good day to die if only you’re dying in Jesus Christ’s name. 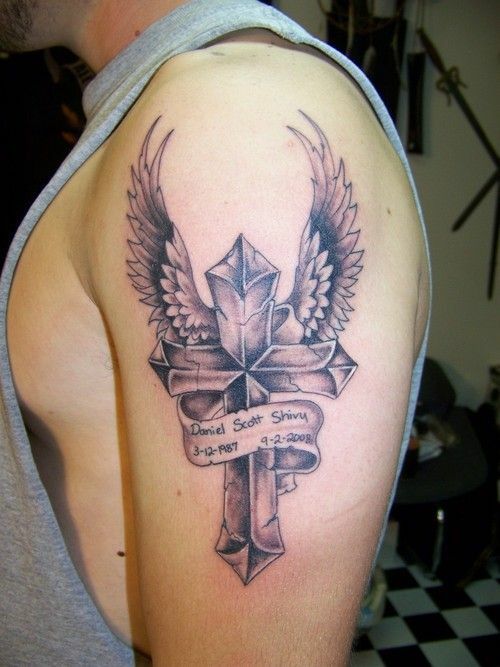 This is a winged cross tattoo which shows the angel wings attached to the cross. 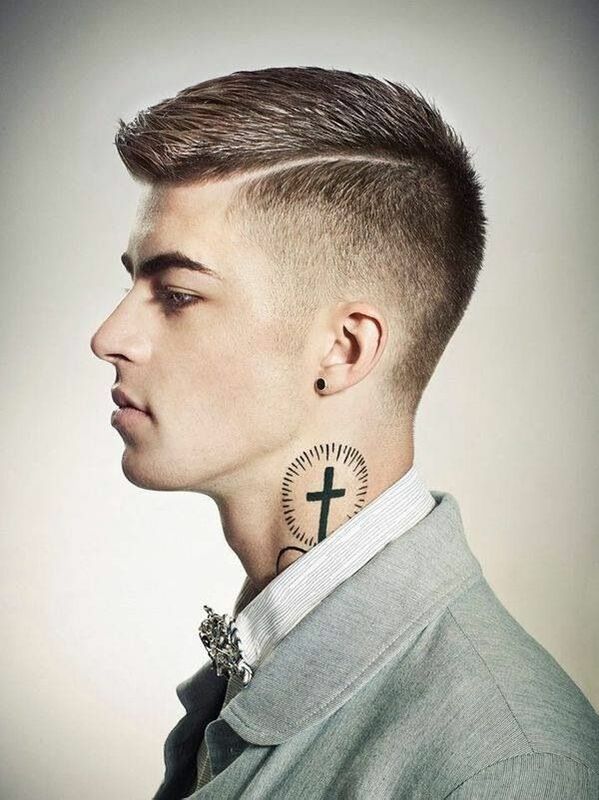 The wings of the tattoo appear flapping upwards as if ready to fly with some word engraving at the bottom of the tattoo. This is a wooden cross tattoo which is held by hand as a show demonstrating your love for Christ. 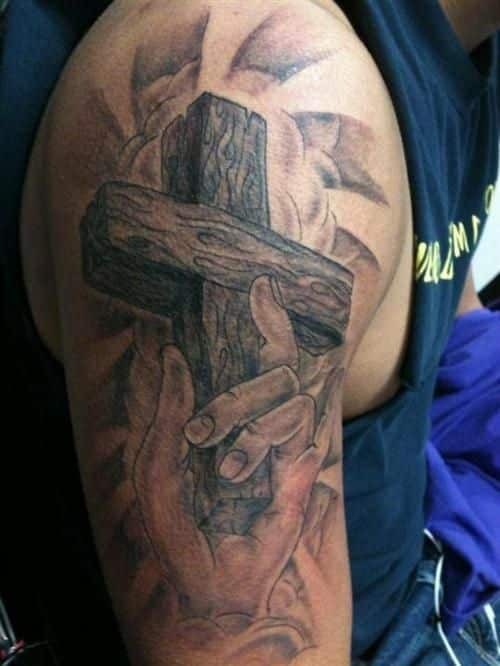 It is a great one with the fact that the hand holds the cross and all this nicely fits on a small surface on the arm. 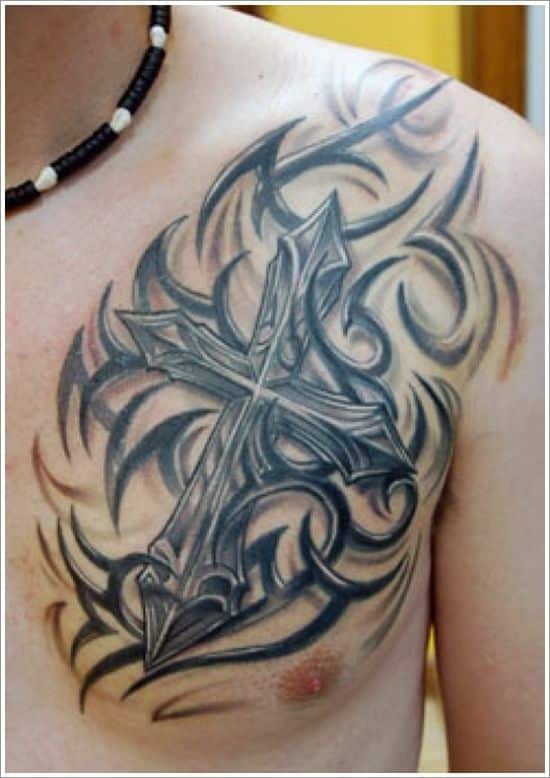 Appearing on the chest, this cross tattoo idea seems to occupy the entire surface on the chest. 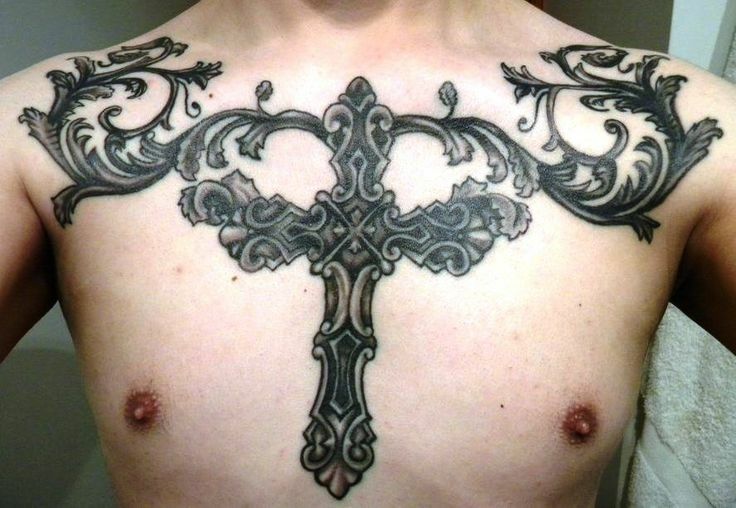 The cross fits well with the man’s breasts and has several decorations that join with the cross at the top extending the entire area to the arms. This will definitely appear great in those who love swimming. A very small but conspicuous cross which can be seen from a distance. It is very dark hence appear very visible from a distance. 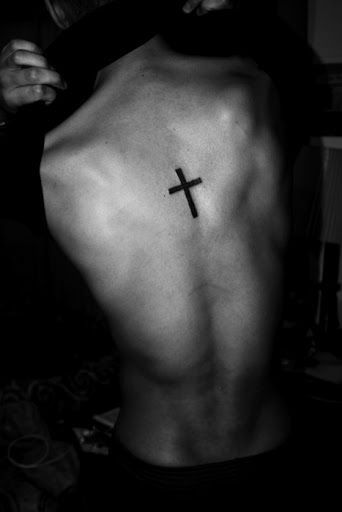 There are no many decorations making it a clean cross tattoo to have. Imprinted on top of the heart, this tattoo shows where your faith is. It is slanting with several decorations around it making it appear unique. 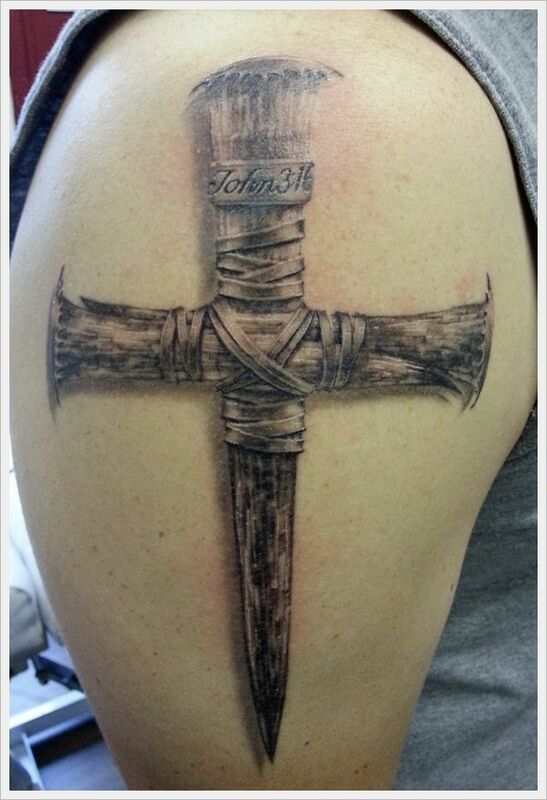 This cross tattoo looks an old one as if picked from some mad but has a great message imprinted on it. 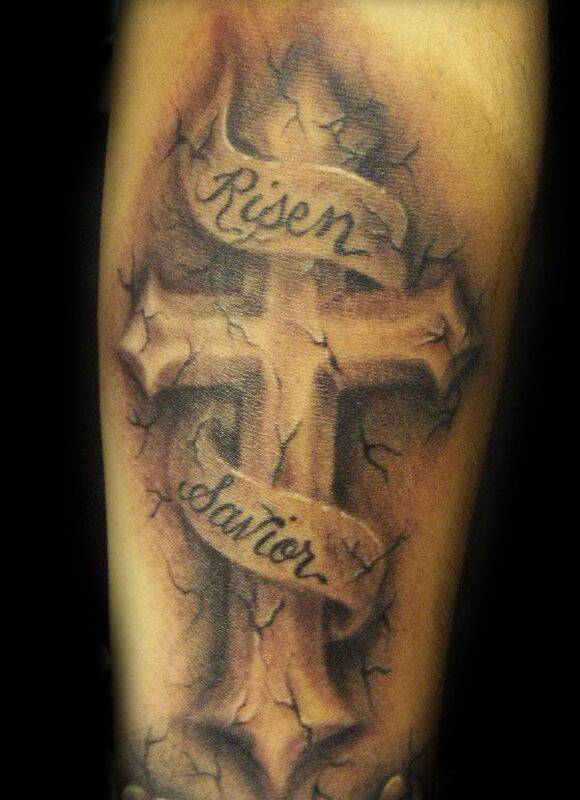 The tattoo recognizes that Jesus did rise and is our savior. This is a stone Celtic cross which appears to be a stone curved into chains. 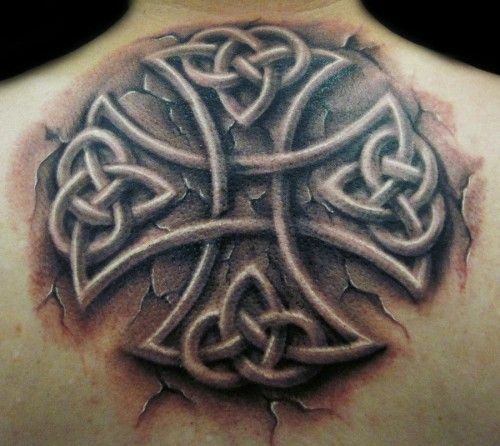 The cross tattoo makes your back appear ripped off making it very unique. Appearing on the neck, this is conspicuous one that can easily be seen any time. It is small yet symbolic engraved within a circle. A great way to show your faith in drawing.